Though screech owls (genus Megascops) are among the smallest owls found in North America, their big voices can often make them seem larger than life and have given them a role in numerous folk stories and superstitions. 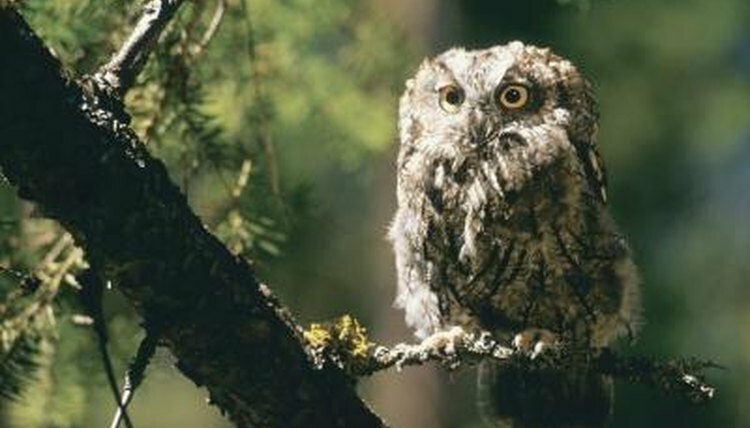 Screech owls get their name from just one of their distinctive calls — a high-pitched and warbling wail or trill. The “screech” of the screech owl is only one vocalization that the bird can make, and is used generally when defending the nest or young. According to the Cornell Lab of Ornithology, screech owls of both sexes will sing to one another to maintain contact with mates and family members, and to denote territory. Many of the other local and common names given to screech owls in North America make reference to their often haunting calls. In some areas screech owls are referred to as spirit owls, death owls, demon owls or ghost owls, due in part to the history of superstitions that arose from their vocalizations. Other common names include whickering owls, dusk owls and mouse owls.